Truth – more than just facts – is the currency of good history and, therefore, of good journalism – the first draft of history. This should be even more so in the realm of culture and spirituality. It has become a cliché to say that “India is a very spiritual country”. If this is indeed so, then we need to examine the roots of our spirituality and culture. We need to sift through the chaff of myth, fable and superstition for the kernels of truth. FORWARD Press has been committed to this higher standard of journalism from the beginning. FP’s first issues in 2009 carried a two-part article “Truth Behind Myths: Baliraja versus Vamana”. The opening sentence of Braj Ranjan Mani’s piece was: “There is no document of civilization, in Walter Benjamin’s unsettling phrase, which is at the same time not a document of barbarism.” This fifth Bahujan Culture & Tradition special has a Cover Story that takes us to literally the culture wars in the traditional land of Maveli/Mahabali/Baliraja. Dr Ajay Sekher shines the spotlight of archaeological and linguistic research to reveal the violence which accompanied the Brahmanization of the Buddhist south. What took me by surprise was that this went on as late as the 16th century. 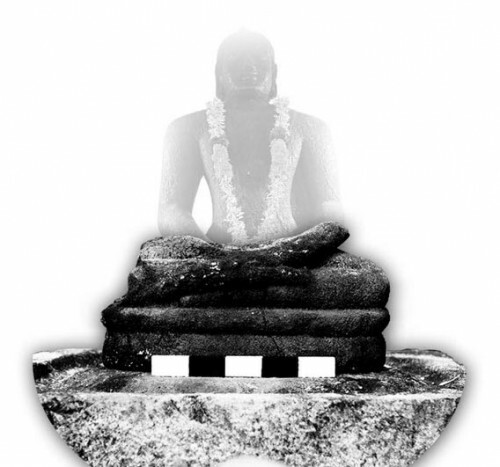 Sekher further asserts, “The Pattanam Buddha is a vital fragment of history that teaches us to be vigilant against cultural, iconographic, architectural and epistemic violence and alterations carried out by the power elite with coercion and appropriating strategies.” So the violence is multifaceted. If the Muslim empires to the north and the Portuguese colonizers to the south are to be charged with imperial iconoclasm or destruction of idols, then the brahmanical forces must equally stand in the dock for their assault on the shramanic cultures and religions across India. Violence is the response of the forces of untruth to the presentation of truth, especially inconvenient truths. We at FORWARD Press have known this especially well since last October. The FIR against the magazine and me (as Editor-in-Chief) filed by some right-wing JNU students was at first not taken seriously by the local police who know better. It took orders from the highest political levels for them to act in unholy haste. After a whole year in which both Pramod Ranjan and I have been interrogated only once each, charges have yet to be laid. So much for the truth in those allegations! Meanwhile, in true brahmanical fashion, various Savarna writers have been spreading lies about the magazine and me in particular. Most recently, in the social media, some of them have even taken to inciting or threatening violence. All this in the name of patriotism! It is this kind of “patriot” that gives patriotism a bad name – Ben Johnson called it “the last refuge of the scoundrel” and Leo Tolstoy “the principle that will justify the training of wholesale murderers”. Following in the footsteps of Mahatma Phule, the first in modern India to deconstruct the brahmanical myths, I believe a patriot is one who loves not just his janmabhumi and karmabhumi but the majority of the people of that land. For that reason I am committed to speaking the truth in love.